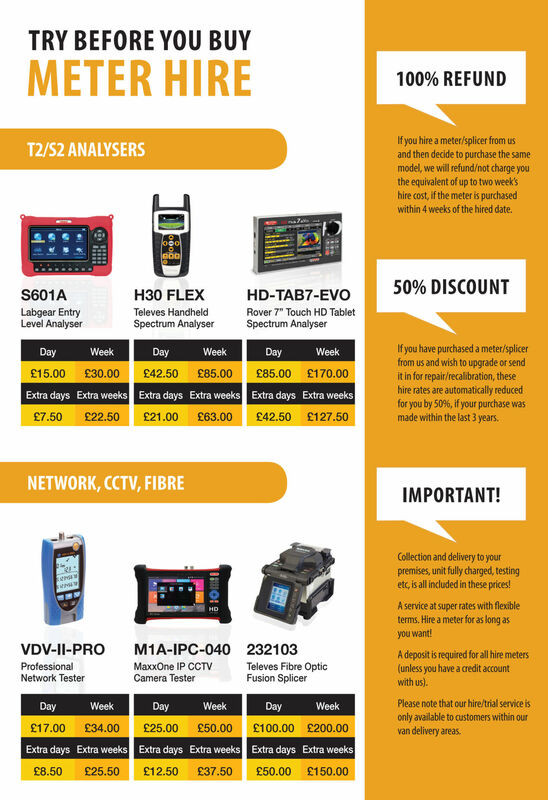 We supply a variety of quality Signal Meters, Spectrum Analysers and Fusion Splices with full backup and support. And if you are within our van delivery area you could hire one - try first before you buy! Please see below more details about our Meter Hire / Trial Service and if you have any queries please contact your local branch.